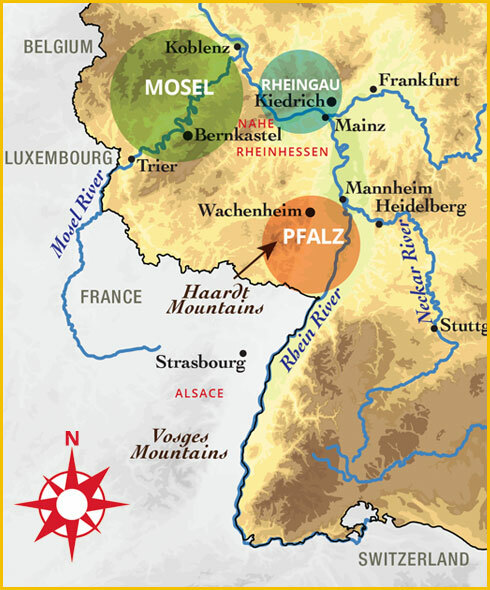 Pfalz is from the Latin for for palace and it's named for Palatine Counts of the Holy Roman Empire, who held court in the nearby city of Heidelberg from the 13th to the 18th century. Traces of winemaking from 550 BC. The region languished for a while after Romans left, viticulture was not a priority for a long time. Pfalz is the place dry wine lovers should try first in Germany! So go explore!